Noel's back with a cracker of a tune! 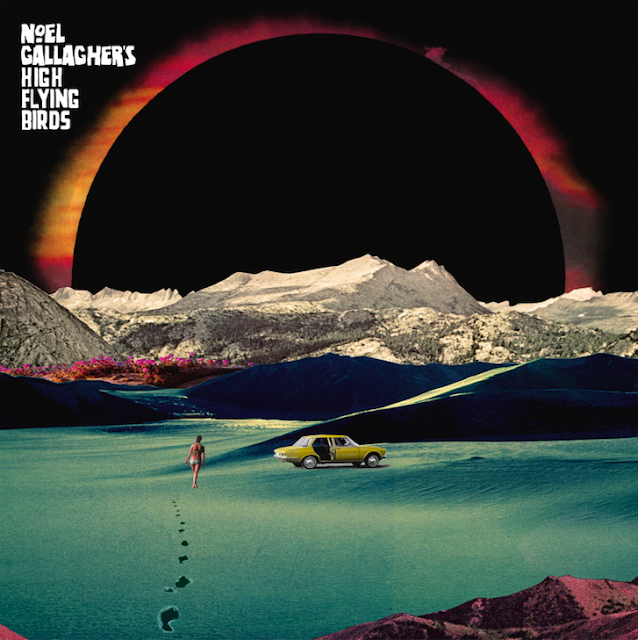 It's the first song released from Noel's third studio album, Who Built the Moon. Of note is that Paul Weller plays the organ on the track. Weller famously of course did the duel solo on Champagne Supernova back in the glory says of Oasis. No need to shout, what you bitchin' about? With the moon and the room on the wrong side. I saw my universal gleam. Taking a walk in the sun. I feel myself getting the fear. Come on, have we decided if we like being part of the plan. Yeah the future gets written today. “Don’t be deceived when our revolution has been finally stamped out and they pat you eternally on the shoulder and say that there’s no inequality worth speaking of and no more reason for fighting because if you believe them they will be completely in charge in their marble homes and granite banks from which they rob the people of the world under the pretense of bringing them culture. 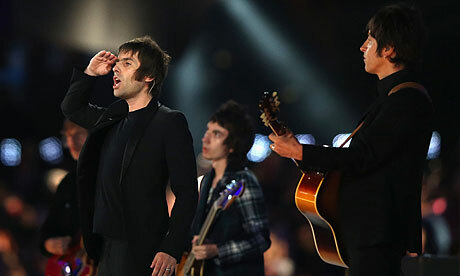 Trust Noel to say somethign witty about his brother singing Wonderwall at the Olympics closing ceremony. 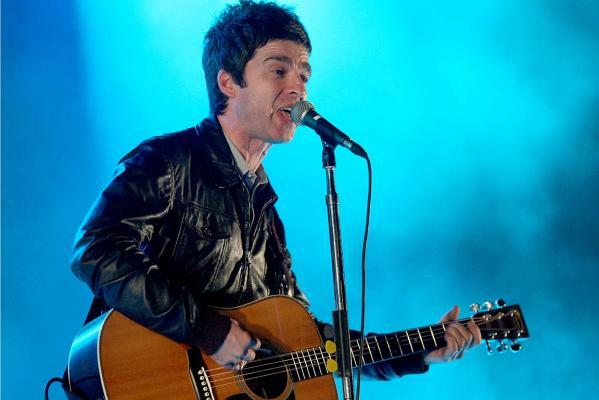 At a War Child benefit concert at Dingwalls in London on Tuesday night, Noel hit back by dedicating his version of Wonderwall to "Stratford's finest Oasis tribute band". Since Oasis split up three years ago after an argument at a music festival in Paris, the brothers have been estranged. Noel has frequently played his old band's songs live, though Beady Eye have resisted – until their concerts supporting the Stone Roses this summer, when they played Morning Glory and Rock'n'Roll Star. Beady Eye's version of Wonderwall was their first public performance of the song. There were two reasons two go to the Auckland Big Day Out in 2012. One rhymed with Garden and the other was Noel Gallagher. Mr Oasis. Mr Wonder Wall. "I haven't been to NZ since 1997. I have no recollection of it at all! My tour manager informed me I may have had an impromptu sing song round a piano in a hotel bar with that singer Joe Cocker!! I don't remember that at all!! Scary, eh?" I saw that show - it was pretty crazy, Liam was drunk, Noel stormed out! Playing the last ever gig at the BDO, Noel had some big shoes to fill. Joe Strummer did an amazing set after the RCHP in 2000 and the Flaming Lips will live in infamy for their costume filled closing act in 2005. So did Noel deliver? Let's just say for him to close the Big Day Out with Don't Look Back in Anger was pretty apt. Also die hard fans got three Oasis b-sides! Stocked to here Talk Tonight - I pretty much learnt how to play guitar with the chords from that song! Any way, here's the set list. After the gig Noel shopped online for a wort chiller. 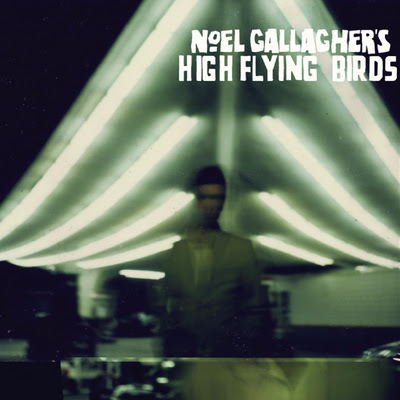 The second song on Noel Gallagher’s High Flying Birds is titled ‘Dream On’. It’s a punchy tune that suggests Oasis fans can dare to dream on that Noel can continue to produce great music without the vocal contribution of estranged brother Liam (and vice versa as Beady Eye’s debut album wasn’t too shabby). If you’ve ever wondered what Oasis would be like without Liam, you only ever had to listen to some of that band’s classic b-sides like The Masterplan and Talk Tonight. Now, High Flying Birds however is your chance to here some A-side material in quantity. Similar in tone to Dig Out Your Soul, High Flying Birds runs along at an even pace backed by a crew of usual suspects such as Dave Sardy and Marc Rowe. Noel appears to have progressed as a lyricist – they seem to be slighty more introspective than standard Oasis fare – where as Wonderwall and Champagne Supernova’s lyrics were meanders slowly down the ‘hall of whatever’, songs like The Death of You and Me and X strongly hint at real moments that have occurred in Noel's life. The Death of You and Me (lyrics) is a nice wee tune, harking back to arguably Oasis’ last genuine hit, The Importance of Being Idle. Underneath the song is a nice basic guitar chord progress but it's wrapped in the usual sounds of Beatles-esque horns and trumpets. The more you listen, the more you’ll perhaps come to enjoy this as a classic Noel Gallagher song. ‘AKA What a life’ is a cracking single. Governed by a strong piano riff and drum beat, Noel is in fine form. If one had to compare it to a prior Oasis track, Falling Down jumps out, though I feel this is a better song. It has a good video too – The Death of You and Me has a matching video. Watch them together for an interesting story featuring Noel’s buddy Russell Brand. Stop the Clocks (remember that name?) is a fine album closer - clearly written by Noel when Oasis was still Oasis and it should have been a song sung by Liam - it's screaming out for his vocals. Thanks to the development of the MP3, these days artistic output is often consumed song by song – fans would be doing themselves a dis-service if they only listened to the singles – this is a fine album, consistently enjoyable the whole way through – with no filler tracks as the odd recent Oasis album has been guilty of. Noel should be proud of his debut solo effort, positive sales suggest so as well. I'm hanging out to see Noel's set at the Big Day out in Auckland next week! Did you hear Noel Gallagher has a new album out? Do the Damage is a b-side to the lead single, In the Heat of the Moment. Below is Noel Gallagher's High Flying Birds setlist from the gig at the Massey Hall in Toronto, Canada.